Gustav (Gus) “The Great Dane” Hansen (born February 13, 1973 in Copenhagen, Denmark) is a professional poker player who lives in Monaco. He is always featured on the NBC broadcast of the National Heads-Up Poker Championship, and he is playing in the third season of the Poker Superstars Invitational Tournament which FSN is presently airing on Sundays. Before turning to playing poker professionally in 1997, he was a world class backgammon player and a youth tennis champion. Typical of the active Danish lifestyle, Gus was known for being a sportsenthusiast throughout his teens, competing in several indoor and outdoor sports as a successful junior athlete. He only started playing poker in Santa Cruz, California while he was an exchange student. Prior to poker, he had been trying to make a living playing professional backgammon in New York and abroad, but found the field too small for his taste. As a poker player, he is known for playing a non-standard game involving taking huge risks. 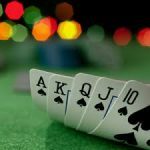 However, his poker tournament record is impressive: He is the only player to win four World Poker Tour tournaments, plus he has won the Poker Superstars Invitational tournament, a one-table event featuring some of the most well-known players today. He calls himself a professional gambler and has been known to take private bets on various personal athletic challenges (such as running), other than poker and professional sports. Hansen is notorious for his extremely loose, aggressive play. 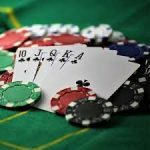 He has a reputation for raising or bluffing with almost any two cards, which leads to opponents calling (or raising) his bets when he has a legitimate hand. He seems to focus his play on maximizing his implied odds. He also seems skilled at reading opponents and avoiding traps. Perhaps most importantly, he is a probability expert, in command of the equity calculations necessary to play high level poker. He was one of the first inductees to the World Poker Tour Walk of Fame in 2004, along with Doyle Brunson and James Garner. 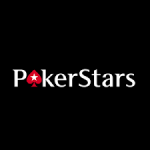 Gus Hansen was a founding partner and house pro of the online poker site Pokerchamps, launched in 2003. In 2005 the company and game software technology were sold to the British company Betfair, for over 100 million Danish kroner, which is approximately £8.8 million (13 million euro/over $15,000,000 USD). 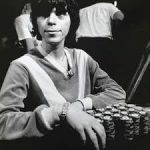 During commentary of the British Poker Open, Gary “The Choirboy” Jones indicated Hansen was having money problems, despite having tournament winnings of over $2,000,000 as of 2006, reportedly because of losses during live cash games, including the “The Big Game” normally held at the Bellagio Casino in Las Vegas. Gus Hansen won the $400,000 Poker Superstars Invitational Tournament and took home the $1,000,000 first prize.